WHERE COPYWRITERS GO TO GET BETTER. BETTER COPY. BETTER CLIENTS. BETTER PAYCHECKS. Hang out with seriously talented copywriters & other experts. Ask them about their successes and failures, their work processes and their habits… then steal an idea or two to inspire your own work. Have you heard this joke yet? The vibe grew tense. Badum-ching! You can call us Rob and Kira. Kira and Rob. Or even Robira (we’ll answer to just about anything). Our number one goal at The Copywriter Club is to help you think about your business in a BIGGER way. We’re talking about T-Rex-kind-of-BIG. 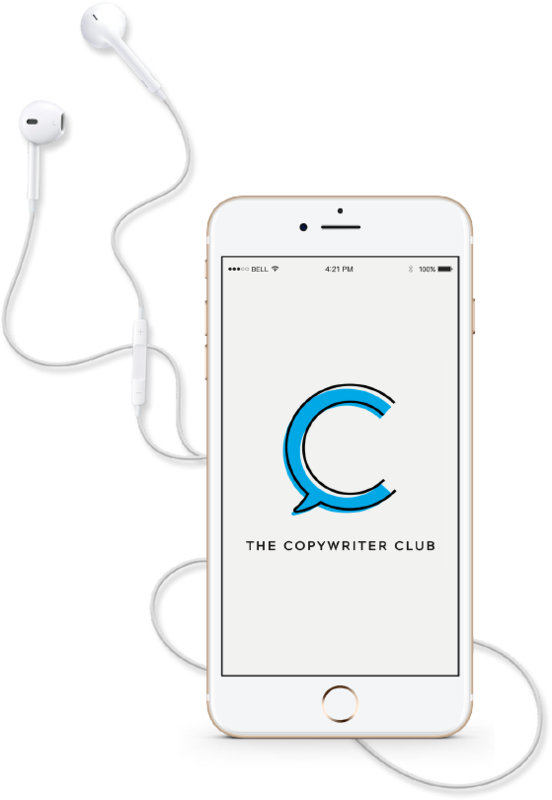 Curious to find out how you can grow your copywriting business with The Club, or how the two of us first met? Click below for the full story. Did Kira and Rob really meet on Tinder? Build the foundation for your business from scratch or wherever you are in just 3 months. Perfect for new-ish copywriters. Go from good to remarkable in our 12-month mastermind experience. Perfect for experienced copywriters. Grow your skills and business with ideas, strategies, and tactics shared in our monthly membership. Perfect for all copywriters. In less than two years, Kira Hug and Rob Marsh have managed to do the impossible. They resurrected the lost art of engaged Facebook groups, launched a successful podcast, and cultivated a community of over seven thousand copywriters launching and growing businesses. Kira & Rob do an outstanding job of taking you behind-the-scenes of not just what it's like to be a working copywriter, but critical lessons everyone needs to be able to create copy that converts. OMG. Where was this when I was getting started!? Instagram for Copywriters: How to Attract Clients, Make New Connections, and Find Your Audience. What I learned hosting my first copywriting conference.